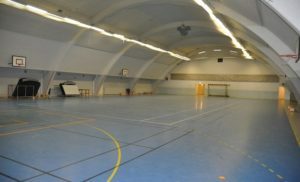 This is where our regular training sessions currently take place on Sundays at 10-12:00. See the schedule below for details. For the time being, our training takes place on Sundays between 10-12:00, at the Svingeln Sports Hall. Trams 1, 3, 6, and 8 passes by here and stops at Svingeln. Buses 17, 58, 121, 159, 173, 311, 501, 502, 503, 513, 515, 519, Blå, Svart & Gul Exp, as well as AlingS, LerumS and GråS. also stops at Svingeln. Parking is available nearby at low cost. *Oftentimes, and depending on interest, there will also be an hour before the session for free training or sparring.